Central Location is a context-responsive, interactive project offering free hair-cutting and shaving services to the public. 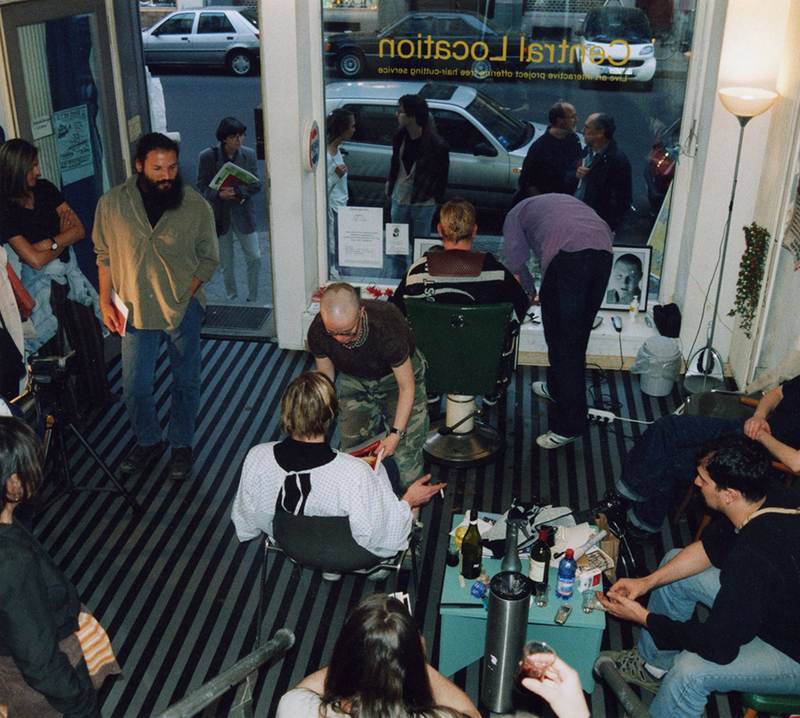 In Berlin, Ashery opened a Central Location barber’s shop for ten days as an off-site project of the NGBK gallery and Künstlerhaus Bethanien. 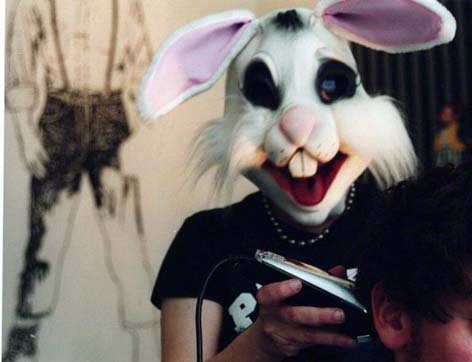 Ashery offered hair-shaving to the public while adopting the roles of different characters: as alter-ego Marcus Fisher – an orthodox Jewish man – as a rabbit and as herself. In Berlin the intention was to reflect on the historical narratives related to the complex notion and visual signifier of the contemporary skinhead. Central Location also acted as a social space where people stopped by for free tea and a chat. The space was covered with black-and-grey gaffer tape, creating a geometrical effect referencing the pyjama uniforms worn by prisoners in the concentration camps, and a charcoal wall drawing of a skinhead. 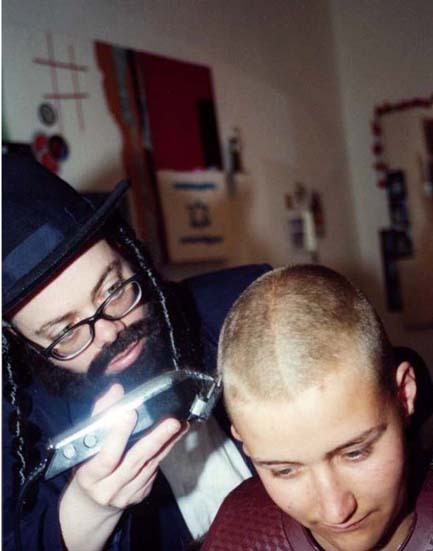 Lee Adams and Oliver Frost were ‘skinhead’ performers who shaved and cut hair. 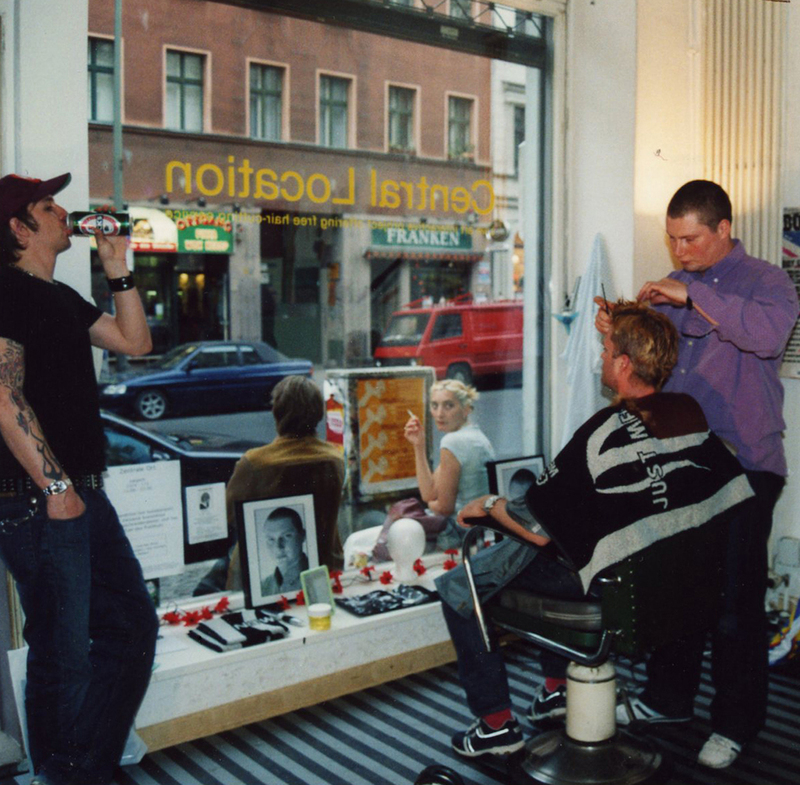 In the Window Galley at Charing Cross Road, London, Ashery’s mobile-phone number was visible to the public, so that anyone could call, book an appointment and be escorted into the building by Ashery to have their hair cut or shaved. Generally, entrance to the building is restricted to appropriate card-holders only. Admittance to the art courses in the school is competitive, expensive and hence relatively exclusive. The window gallery exhibits works mostly by Central Saint Martins College of Art and Design students. Central Location was designed to offset the divide between the art-school building with its inhabitants inside, and the street with its inhabitants outside.